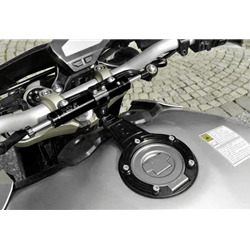 Steering dampers help to reduce front end head shake, improving rider confidence and control. 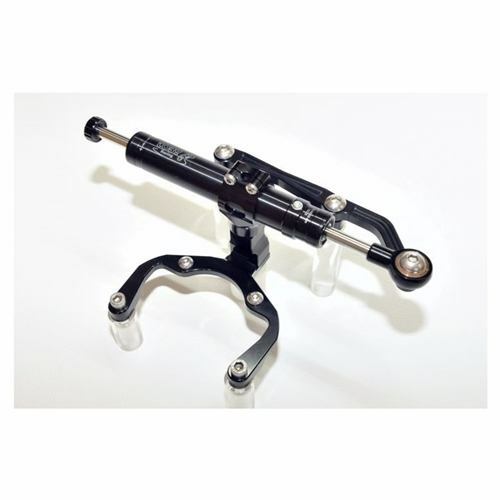 Steering dampers are a must for high performance applications where stability is a priority. 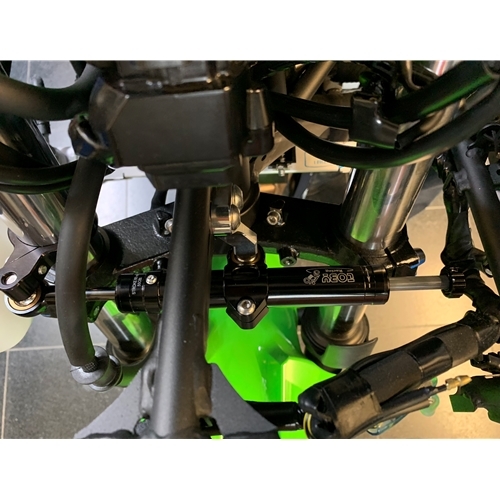 K-Tech Suspension partnered with premium Belgian damper manufacturer Toby to offer bike-specific street or race damper kits. Available in easy to install kit form including damper and brackets or a variety of length/stroke dampers for custom fitments. 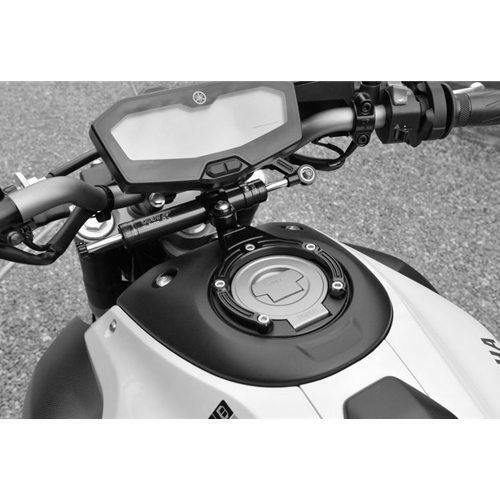 Street damper hardware kits typically retain original lock-to-lock steering and include a wide range adjustable damper with hard chromed shaft. 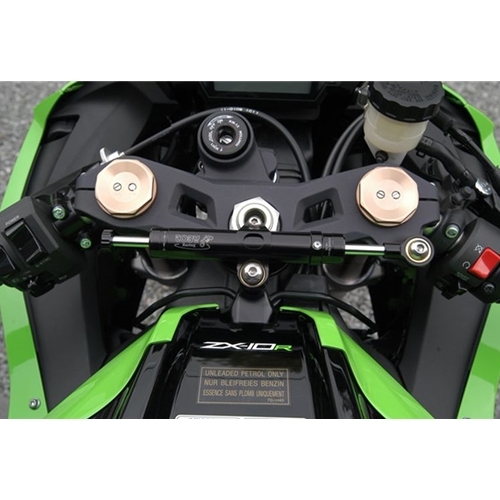 Race damper kits are designed to reduce steering lock range and include hardware for bolt on installation with a "firmer range of settings" DLC-coated lightweight aluminum shaft damper. Bike specific fitments will be indicated with " Exact fit". 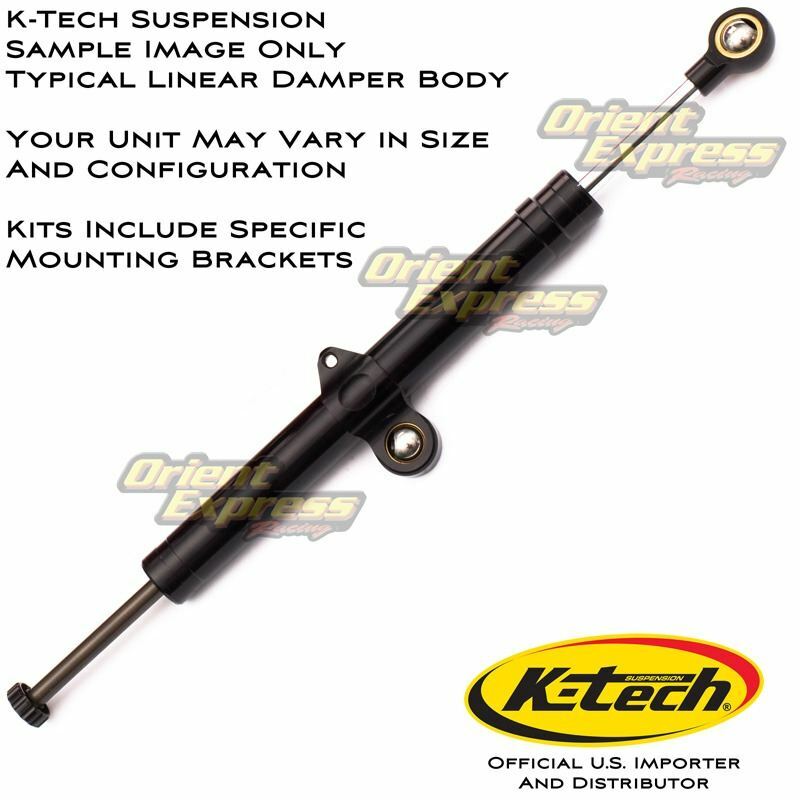 Universal dampers in a variety of lengths and strokes are also available less hardware kits for custom fitments.